Every few weeks I will get an email blast from David Allen. He is the author of Getting Things Done which is one of my top 10 books of all time. This one was worth sharing. If you've never read Getting Things Done - BUY IT and read it multiple time. I can change your life. When I share the details of my own personal system in my presentations, as I did in a webinar for our GTD Connect members recently, someone always says, "You've got so many LISTS!" with a tone of voice that really translates into, "How silly and stupid! There's no way keeping track of all that in that way could work for me." I understand their negative reactions. Most people don't have a reference point of success with lists. They are more repelled by their lists, in whatever form they are in, than attracted to utilize them. This month's essay explores three reasons why "list" is often considered a dirty word and three things you can do to change that for yourself. What's wrong with lists? Most people haven't had a lot of success with lists, especially the ones they've tried to use to "get organized." You are either attracted or repelled by your lists and everything on them. There is no neutral territory. When you look at any one item you will either be thinking to yourself, "Hey, when can I mark THAT off?" or "Yuck! Back away!" My educated guess is that 98 percent of people's responses are some version of the latter. Why? Because 1) they're hard work and/or 2) they're scary and/or 3) they're disappointing. If you know your list of calls to make doesn't include every single call you have to make about any and everything in your life, you will feel that you still should be remembering things that aren't on the list. That's low-level and hard work for your psyche, so it's not really getting the relief from the list it is seeking. If you don't have everything out of your head, it hardly feels worth trying to keep ANYthing out of your head. Also, most big to-do lists have things grouped together on them that cannot be done in the context you are in at the time, and a lot of repetitive re-thinking (wasteful mental effort) is required to figure out what you actually have the opportunity to do in the moment versus what can't be done until another place and time. If a to-do on your list is not the very next physical visible action to be done, there is a gap between current reality and what you are looking at, and it can trigger a subtle but very real sense of being out of control with what to do about it, every time you glance at it. Some part of you knows that there is more thinking and decision-making required, and you don't feel you have the energy or capability to do that well, in this moment. Simply having "Mom" on a to-do list reminds you that her birthday is coming and that you should think and decide about what you're going to do about it... but, oh my... I don't have the juice to deal with that right now! Ever had to rewrite a list of things you didn't get done when you thought you should? People who try to work daily to-do lists usually have undone things at the end of the day that create guilt and the trouble of having to transfer them to the next day. 2) Make sure every actionable item has the very next visible physical action identified along with it, so you don't freak out about unknown territory between here and there. 3) Only put items that cannot be done any other day on your calendar, and everything else hold in "as soon as I can get to them" lists. I suppose "love your lists" could be a little too radical an admonition for some of you. But how about at least "be good friends" with them? "If you aren't yet at the point of clarity, then make that your first goal. It's a big waste of time to go through life being unclear about what you want. Most people wallow way too long in the state of "I don't know what to do." They wait for some external force to provide them with clarity, never realizing that clarity is self-created. The universe is waiting on you, not the other way around, and it's going to keep waiting until you finally make up your mind. Waiting for clarity is like being a sculptor staring at a piece of marble, waiting for the statue within to cast off the unneeded pieces. Do not wait for clarity to spontaneously materialize—grab a chisel and get busy!" 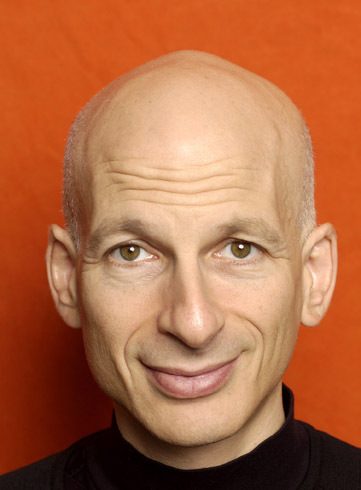 Below is a great post from Seth Godin. Seth is one of the marketing thinkers of our time and also has the occasional personal effectiveness post. To read more from Seth - go to his blog. Making something is work. Let's define work, for a moment, as something you create that has a lasting value in the market. Twenty years ago, my friend Jill discovered Tetris. Unfortunately, she was working on her Ph.D. thesis at the time. On any given day the attention she spent on the game felt right to her. It was a choice, and she made it. It was more fun to move blocks than it was to write her thesis. Day by day this adds up... she wasted so much time that she had to stay in school and pay for another six months to finish her doctorate. Two weeks ago, I took a five-hour plane ride. That's enough time for me to get a huge amount of productive writing done. Instead, I turned on the wifi connection and accomplished precisely no new measurable work between New York and Los Angeles. More and more, we're finding it easy to get engaged with activities that feel like work, but aren't. I can appear just as engaged (and probably enjoy some of the same endorphins) when I beat someone in Words With Friends as I do when I'm writing the chapter for a new book. The challenge is that the pleasure from winning a game fades fast, but writing a book contributes to readers (and to me) for years to come. Have a second device, perhaps an iPad, and use it for games, web commenting, online shopping, networking... anything that doesn't directly create valued output (no need to have an argument here about which is which, which is work and which is not... draw a line, any line, and separate the two of them. If you don't like the results from that line, draw a new line). Now, when you pick up the iPad, you can say to yourself, "break time." And if you find yourself taking a lot of that break time, you've just learned something important. Another great pieces by our Marketing Coordinator Katlyn Kugler. With the Ides of March approaching it might not be a bad idea to brush up on some basic persuasion skills. Had Roman Emperor Julius Caesar executed the art of persuasion better than the Roman Senate and supposed close friend Marcus Brutus, he might have had a livelier fate. The elements of persuasion have not differed over these many centuries, but the ability to decipher them has. Advertising is often the platform which will persuade consumers to purchase or avoid a service or product, so the need for persuasive advertising is crucial. The first step in persuasion is deciding what kind of strategy to use for the given product. Reference the Foote, Cone & Belding Grid (Richard Vaughn) to determine if the product is high involvement or low involvement and whether it is rational or emotional. Where the product falls on the grid influences what creative techniques should be administered in the ads. Along with determining where the product falls on the FCB grid, the customer's motivation and ability to process an ad should be assessed. The Elaboration Likelihood Model (R.E. Petty & J.T. Cacioppo) can be referenced to determine the customer's situation. Motivation to process an ad is decided by factors such as the customer's interest in the product being pitched. People are more motivated to process ads of products they are passionate about. Ability to process an ad is dependent upon issues like external distractions, location, and timing. By considering product category and the customer's circumstances, a more effective advertisement can be produced. More effective ads will cut through market clutter, resonate with the audience, and inspire purchase. Take one from the history books and avoid Caesar's fatal mistake; by knowing your product and customer you can preserve good standing in the market simply by being more persuasive than the competition. One of the blogger/online experts that I follow is Gary Vaynerchuk. He is well known for his family business www.winelibrary.com. He is also well known for http://tv.winelibrary.com/ which is his video blog about the wine industry. He has also developed a media company and has written two books. 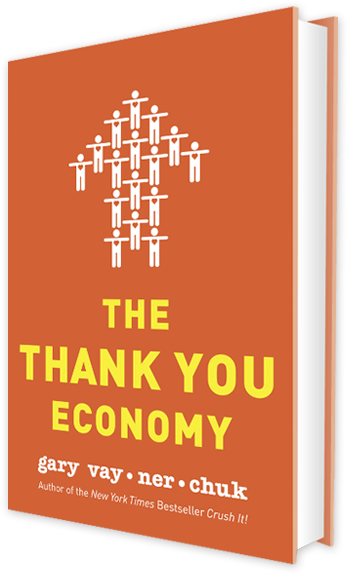 The latest book is the Thank You Economy which has been widely reviewed. One review was in Entrepreneur magazine. I have not bought the book yet but I will. Gary has been sharing the Thank You ideas now for a few months and this article in Entrepreneur magazine seems to do a nice job summarizing some of the key ideas. 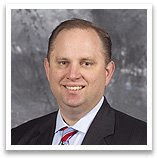 Gary believes with the increasing use of social media that companies are now going to have to return to the one-on-one approach to communicating with customers. This is similar to the small town business who knew the customers and treated them with respect because in a small town a bad reputation can spread easily and a business can be hurt. Business at one point became more mass marketing and large companies didn't need that one-on-one relationship. With social media exploding as a communication device - it's easy to turn off a person and then have that person Facebook or Tweet a negative comment that can spread like a wildfire. Social media is changing how companies have to interact and treat clients. In our business we are fortunate enough to be small enough that personal contact is much easier. We can interact with each customer on a personal basis during each project. I believe this puts us in a wonderful position as our economy continues to change and evolve. I am looking forward to reading Gary's book and I am sure it's a book that every person in business, sales or marketing should read and share.